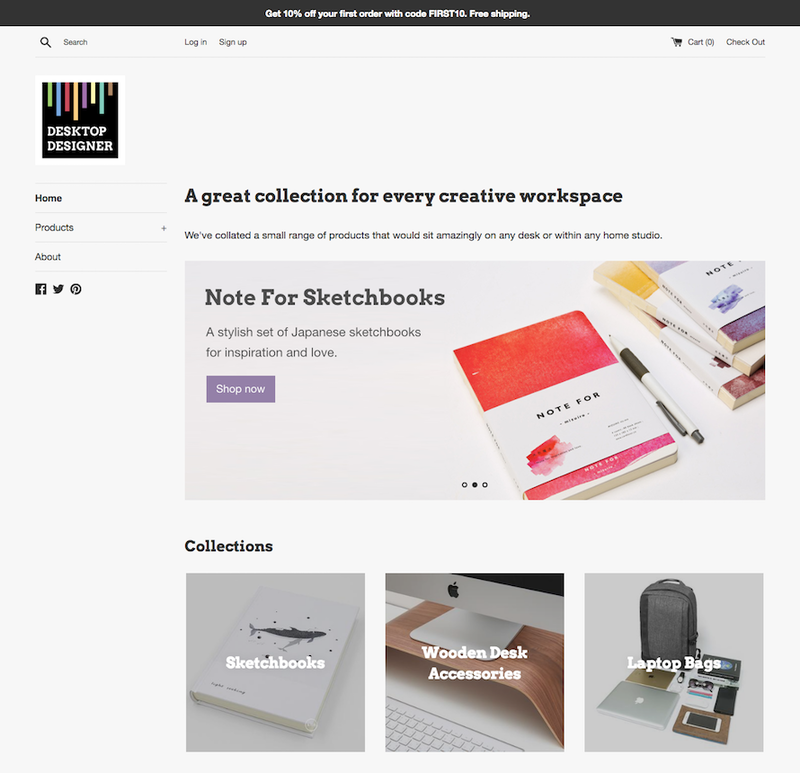 Since this post was first written I have sold my ecommerce website - Desktop Designer. I'll be working on a couple of new stores in the meantime which should be launching this year. I've been designing and building ecommerce websites for a long time now and have worked closely with Clients on coming up with efficient solutions to reoccurring problems in their daily operations. But there's more to their struggles that we as web designers and developers don't fully appreciate such as sourcing products, finding suppliers, managing inventory and of course marketing, to name just a few. We discuss with Clients how we can improve business for them, or how they should be doing this instead of that, but the simple truth is the majority of web designers and developers have never owned or managed an online store. So how can we offer proven advice? Well, this was my reason for deciding to launch my own ecommerce shop, to experience first-hand what setting up an online store is like and what it takes to make it a viable business. I don't have the physical space to stock inventory so I will be drop shipping. I will be starting the store with a brand new domain that will have no immediate traffic or domain authority. As a result, I will have to experiment with marketing strategies which will include using social media and Adwords. I have a minimal budget (pretty much non-existent really) if you compare to a new business who will be concentrating on this full-time. My main business of being a professional web/graphic designer will be my main source of income, so working on the marketing and advertising of my store will be spread slowly over the coming months. Shopify is a well-known ecommerce platform that has been around for years. They have everything set up for you to get going quickly including store designs/themes. For my store, I'll be using a default theme provided by Shopify, but i'll tweak the bits that bug me ;-). Shopify have a drop shipping service/add-on called Oberlo that connects with Shopify and Ali Express seamlessly. I decided to set up a shop that had products I could relate to. Being a designer, I have all sorts of accessories on my desk from Funko vinyl figures and sketchbooks to wooden monitor stands. 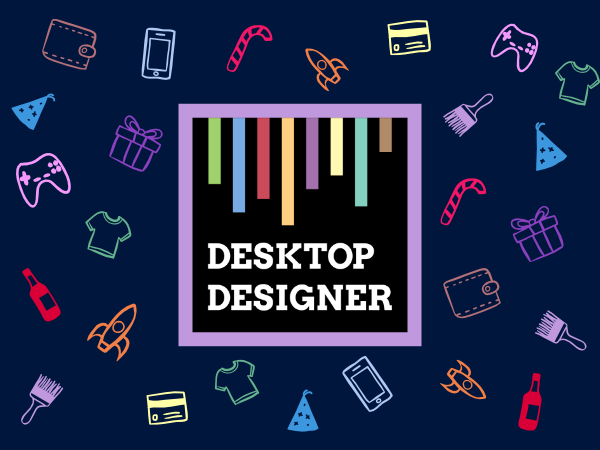 So, this is what my store will sell and I came up with the name of "Desktop Designer" - Desk Accessories for Designers to help me do this. To get things moving, I signed up with Shopify on a 14 day free trial which was sufficient for me to set up my store, its look and feel and source some products (some of which I own myself) using Oberlo. Oberlo is a fantastic app that allows you to import sourced products, including images and variants, in to Shopify by the click of a button. Once this is done it monitors any product price changes and updates them in your store automatically. I selected most of my products from suppliers on Ali Express which meant that most products didn't come with any form of product description. The product description is an essential piece of information not only for search engine optimisation but for selling the product to the customer too, so writing descriptions was my first task. Writing product descriptions was one of the hardest tasks so far. This was the first experience I came across that resonated with some of my Clients. All the SEO people I've worked with assume writing product descriptions is easy and information is available - it's not! It took me a good two weeks to research and write decent descriptions for all 20 of my products - imagine how long it would take if I had 2,000. It takes considerable time to locate reliable information about the product and write a unique description that works well for both customers and search engines. My approach to writing the descriptions was a little different to the norm. For one, I personally use most of the products I am selling and so could offer my own views and this is exactly what I did. In addition to a small "official" description of the product, I offered my own personal experience together with any photos of the product in use, for example this wooden monitor stand. My store has been running for about four or five weeks now and I've only just started a little bit of paid advertising as an experiment in the last two weeks, but surprisingly I've had two orders come through (and not from paid advertising!) without me even getting it started properly. So, I'm happy with that! My original thoughts on running an online shop have completely changed since. There's a lot more to ecommerce when you look at the whole picture rather than the little snippets I saw when working with my Clients. I'll be documenting my experiences as I go along on my blog so check back often or follow me on twitter! I expect the next few months to be interesting once I get all the traffic kicking in. Facebook ads have been interesting though….